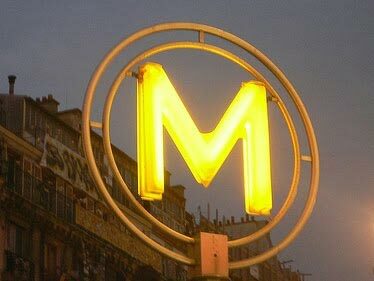 You are currently browsing articles tagged paris metro. 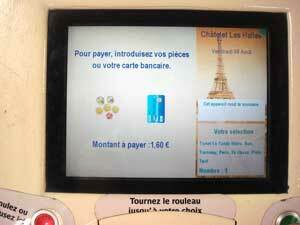 This is a step-by-step visual guide to ticket vending machines for the Paris Metro, Bus, Tram and RER. 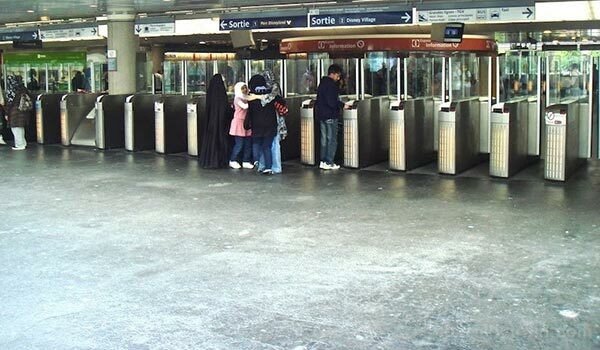 In the above photo we see a Paris Transit Authority ticket vending machine. 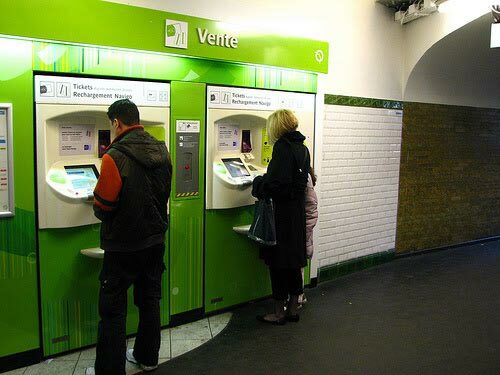 You’ll often find these machines just beside manned Metro ticket windows. 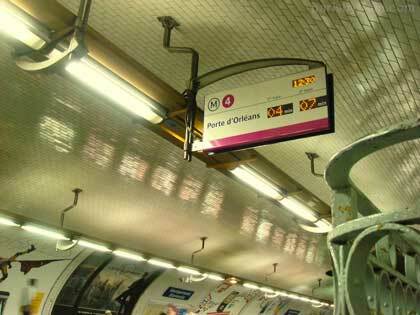 At large Metro stations such as Chatelet Les Halles or Gare de Lyon you’ll find these machines placed throughout the station, usually embedded into walls. Let’s analyze the layout of the machine clockwise from the red button. The red button is the “No” or “Cancel” button. When you’ve taken a wrong step, made an erroneous choice, press this button to go “back” or to answer “No” to a question. 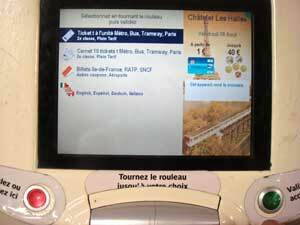 The large display screen is not a touch screen, unlike Billetterie Ile-de-France ticket machines. To make choices on the screen, we use the rollbar located directly beneath the screen. On the right, (mostly cut-off from my poor picture taking,) is the debit card slot, with a pinpad just beneath it. These machines accept debit cards, but not credit cards, and also euro coins through a slot, not visible in the picture. Further right, again, not visible (sorry), is a purple Navigo pass card slot. Pass Navigo and Pass Navigo Decouverte cards can be loaded or charged at these machines. Remember to remove the plastic protective cover from your card (if your card has one) before trying to insert the card. Below that we have the green “Yes” or “Accept” button used to make selections. Below the green Validez button is a ticket delivery slot, where bought tickets and receipts will be delivered upon completion of a purchase. To the left of the Yes button we have the infamous roll bar. Rolling this bar moves the selection “cursor” on the video screen. Rolling this bar up with your hand moves to the next item “up” from the current position. Rolling the bar down, scrolls the highlighted item to the next item down on the screen. To make a selection, press the green Validez (“Validate”) button. Let’s analyze what we see on the start screen, what you’ll see when you first arrive at the machine. 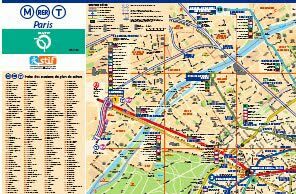 At the top left corner we see the RATP logo and what station you’re currently at (Chatelet Les Halles) along with which fare zone you’re in (zone 1). At the top right we have the current date and time. You’ll notice that there is no language choice on this starting screen, but there will be one on the next page. The Blue rectangle is the currently selected item or “cursor”. Upon start, the item selected is “Tournez le rouleau, puis appuyez sur valider” which in English is “Turn the rollbar, then push Validate”. Rolling the bar upwards will move the blue “highlight cursor” to “Acheter des tickets, coupons”. Pressing the Green “Validez” button will select that item and bring you to the next screen. 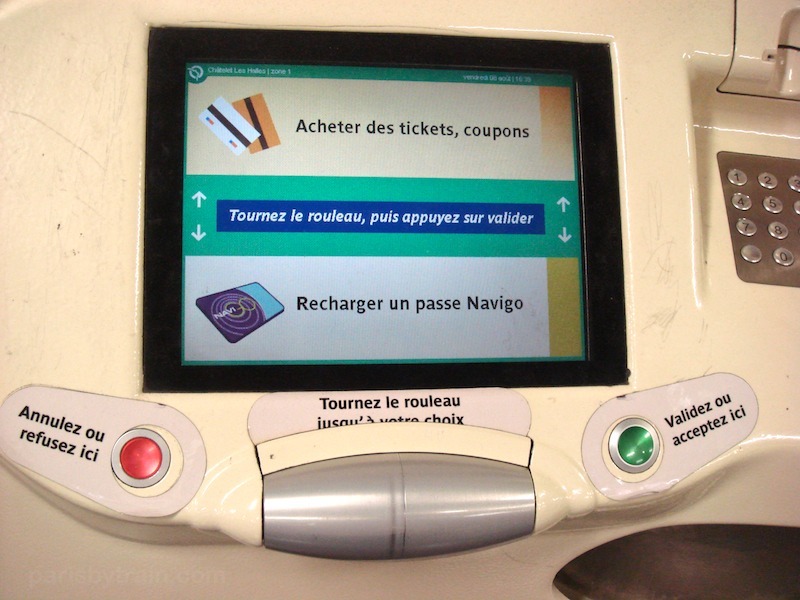 To buy a Paris Metro ticket, also good for the bus or tram, roll the bar upwards to highlight “Acheter des tickets, coupons” then press the green button. On this next screen we have four selections, the bottommost being language choices for this machine (“English, Español, Deutsch, Italiano”). 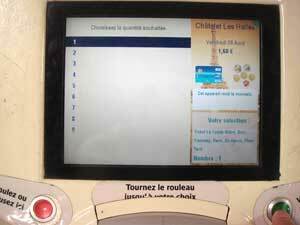 I did not make a language selection, so the rest of the screens are still in French. 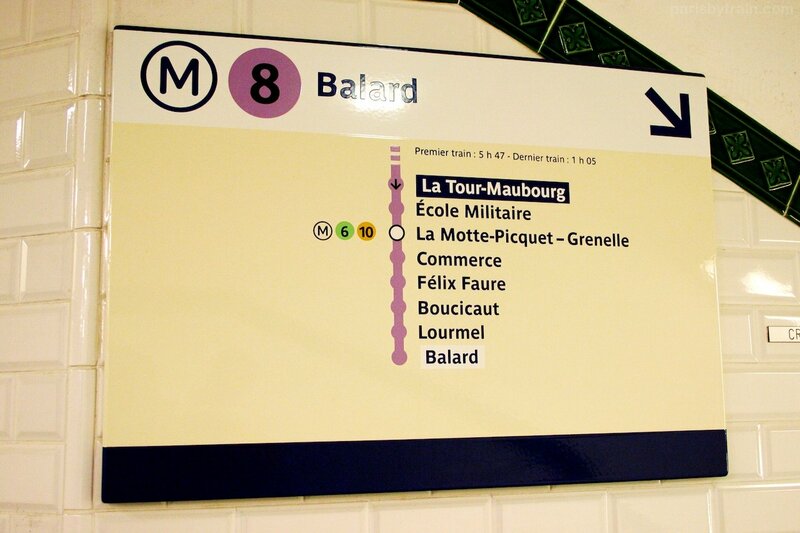 First choice (already highlighted in blue) is Paris Metro Ticket t+ for the Metro, Bus and Tram in Paris, Second class (“2e classe”), Full Price (“Plein Tarif”). These tickets are always Second Class, since First Class Metro cars no longer exist. Full Price tickets means Adult Price, which is currently () per ticket, bought singly. 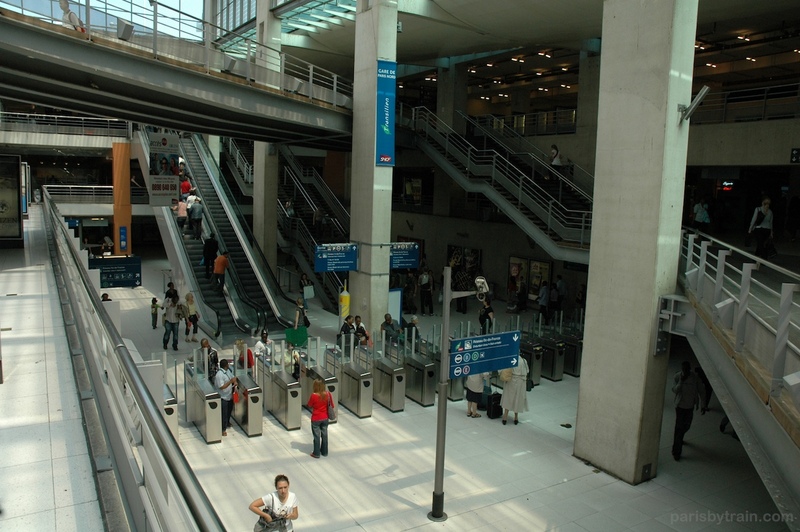 Children’s fares or half price tickets (“Demi Tarif or Tarif Réduit”) can be purchased through the Billets Ile-de-France, RATP, SNCF Autres coupons, Aeroports selection (3rd from the top). 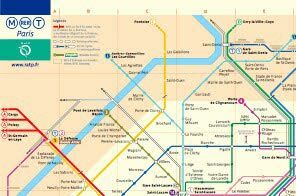 Second choice is a booklet (“carnet”) of ten Paris Metro Tickets, again for Metro, Bus or Tram. The total price for 10 tickets is , making each ticket , a discount of about 20% off the full price of . I believe you can purchase a maximum of two booklets at once (twenty tickets total). A booklet of 10 tickets for children 4-9 (inclusive) costs . 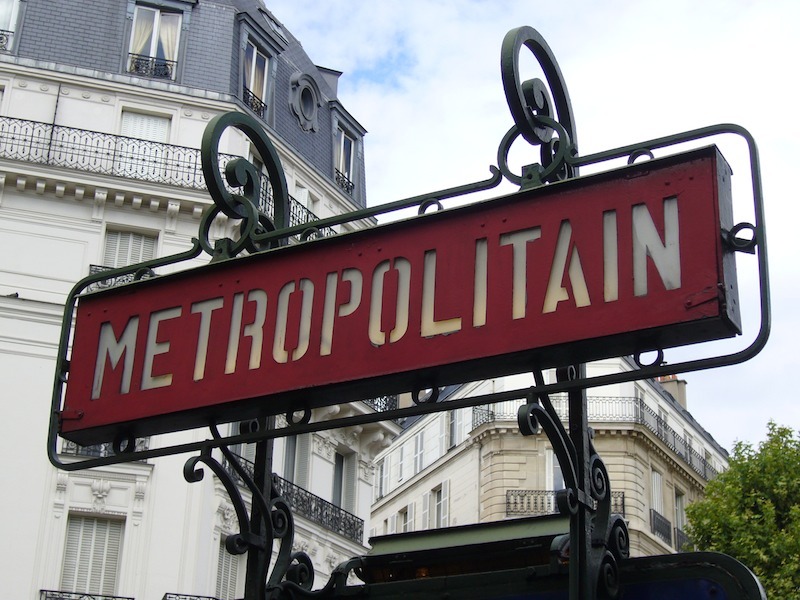 Third choice is for reduced price tickets (for children or other discount pass holders) and Billets Ile-de-France (station to station tickets, destinations outside of central Paris) such as tickets to Airport Charles de Gaulle ( one way), and day passes such as Ticket Mobilis. 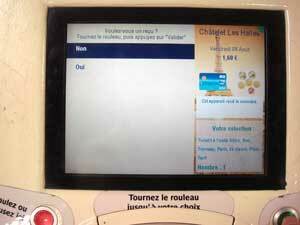 Fourth choice takes you to a languages selection page where you can change the language used by the ticket machine. 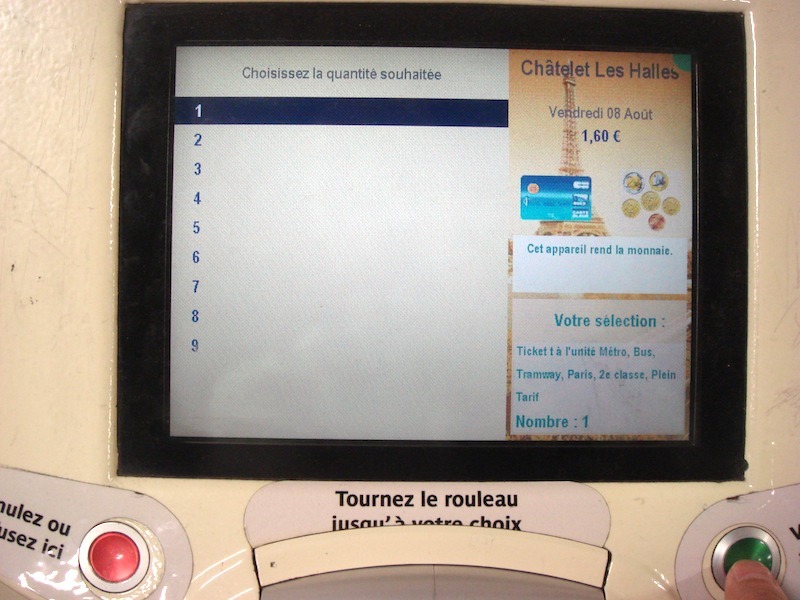 On the right side of the screen we see the current station (Chatelet Les Halles), the date, payment types accepted and min./max. 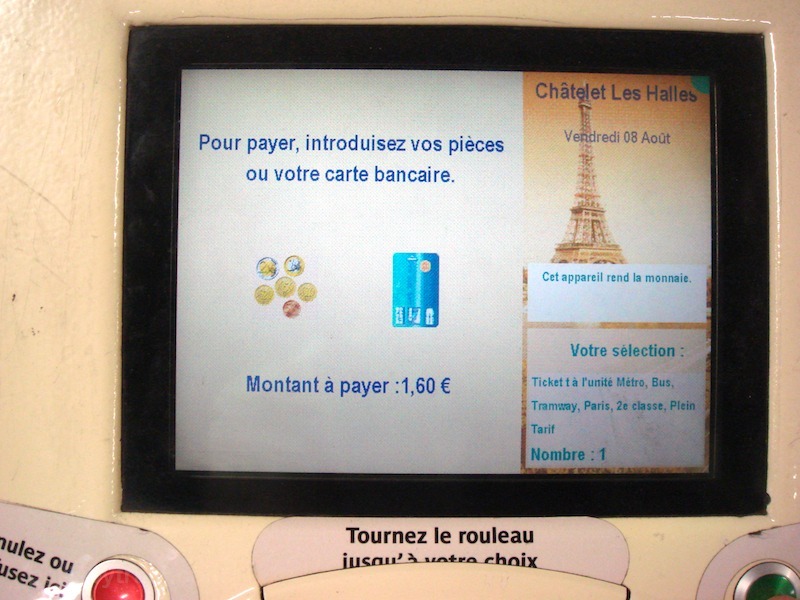 values (debit card is accepted for purchases totaling 1€ or more, Euro coins up to 30€ maximum) and a note saying that this machine will make change. On the next screen above we choose the quantity of individual tickets we’re wanting to buy. 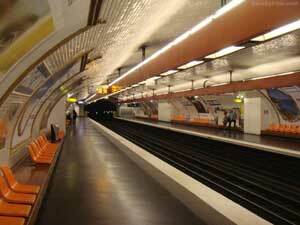 Nine individual tickets is the maximum since ten would make a carnet, which is 20% cheaper. Roll the selection bar to the desired value and press the green Validate button. Following the quantity selection we’re asked if we would like a receipt for the purchase. Useful if your travel costs are reimbursed. Finally we come to the payment screen which unlocks the coin slot and the card reader checks for debit cards. As far as I know, you cannot mix and match payment types, either all coins or all debit card. North American debit cards will most likely not work. If paying by debit card, you’ll have to enter your PIN number via the keypad to the right of the display screen. These machines can be slow to read debit cards, so expect upwards of ten seconds for the machine to respond after inserting your card. Once you’ve completed the payment of your purchase, your tickets and possibly a receipt will be dropped into the ticket collection slot below the green Validez button. 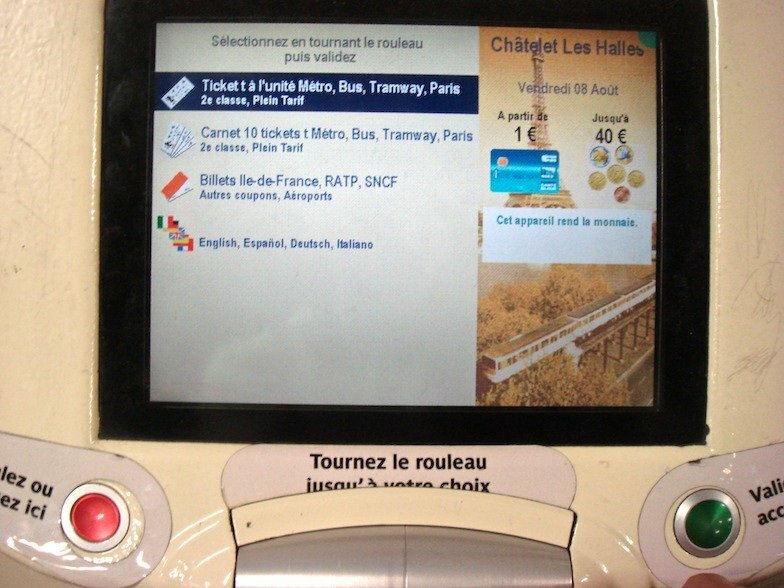 I’ll attempt to get some more screen shots of ticket vending machine usage in English and for purchasing Billets Ile-de-France for Aeroport Charles de Gaulle or Airport Paris-Orly. 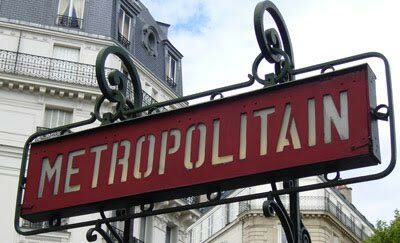 Paris Metro tickets are white color paper tickets, currently the single-use/ride Paris Metro tickets, known officially as Ticket t+. 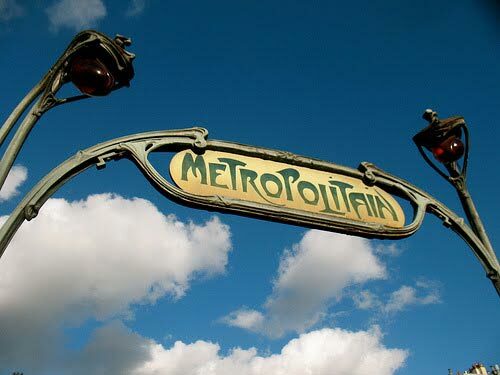 Paris Metro Ticket t+ is currently priced at for a single ticket (). 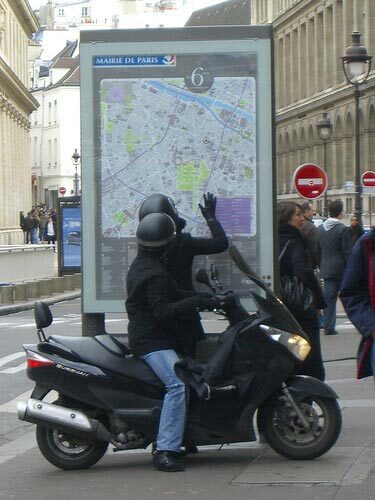 A package of 10 tickets, a carnet [“car-nay”] costs . Notice that there are no “and“s in the above list. That’s on purpose. You can’t mix any of the above transfer situations. Special note: single transit tickets purchased on buses, directly from drivers are not valid for any transfers and cost . 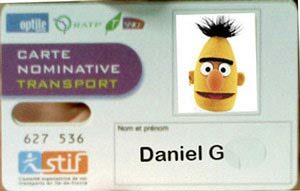 With these tickets you will not be able to transfer to another bus nor tramway. 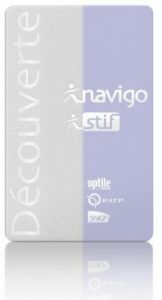 For Paris Metro Passes read about Navigo Decouverte. 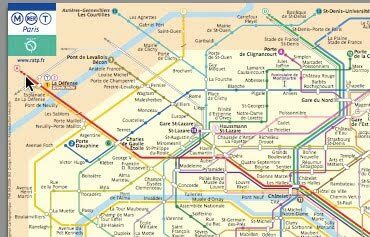 The Paris Metro vs. the Paris RER… what’s the difference?